Domestic and selected international liquors untill 2 a.m. Rooms measuring 52 sq. m. (560 sq. 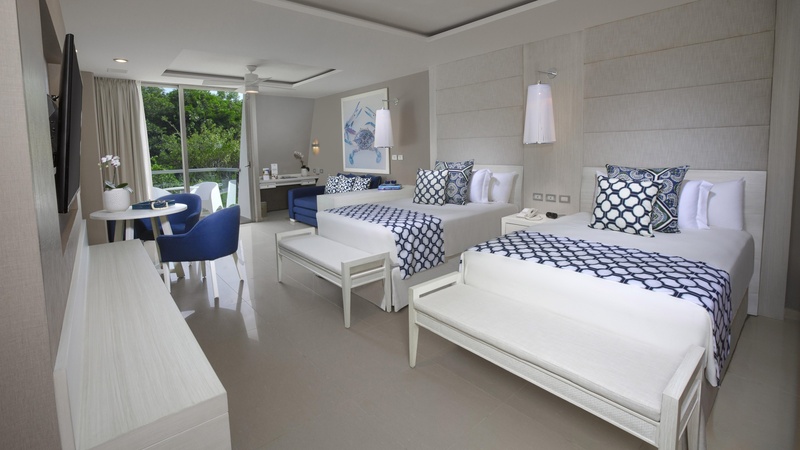 ft), furnished in a contemporary, relaxing style, with spectacular views. They have two double beds or one King size bed (on request on arrival at the hotel). 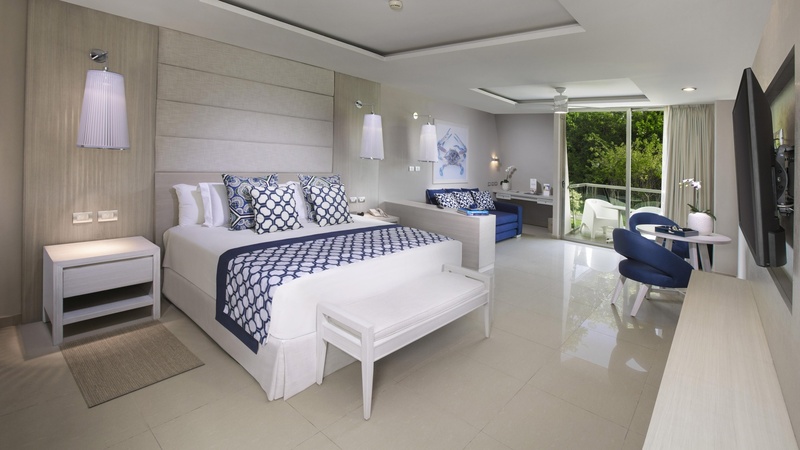 The newly renovated Superior Junior Suites of the Grand Sirenis Riviera Maya Resort & Spa bring our uniquely designed, comfortable rooms to an increased level of modern luxury and style. The advanced sleek, contemporary design of each 560 sq ft units offer maximum relaxation with spectacular views. 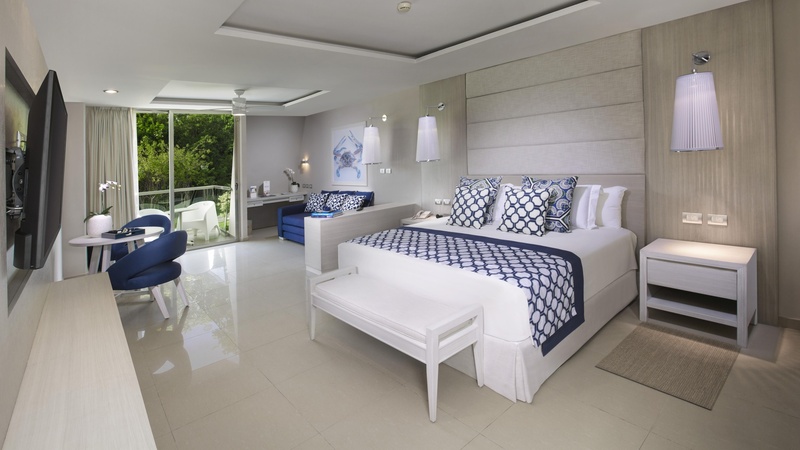 Suites are available with the option of a king sized bed or two double beds. 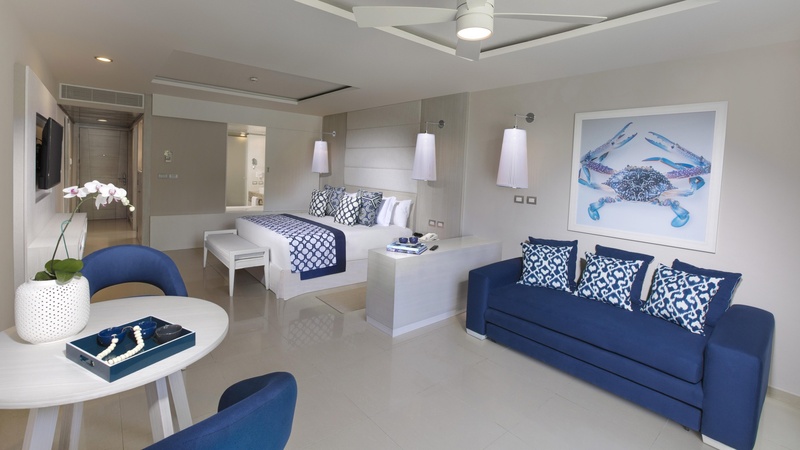 The newly renovated Deluxe Junior Suites of the Grand Sirenis Riviera Maya Resort & Spa bring our uniquely designed, comfortable rooms to an increased level of modern luxury and style. The advanced sleek, contemporary design of each 560 sq ft units offer maximum relaxation with spectacular views. 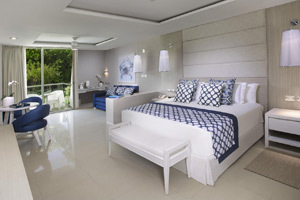 Suites are available with the option of a king sized bed or two double beds. 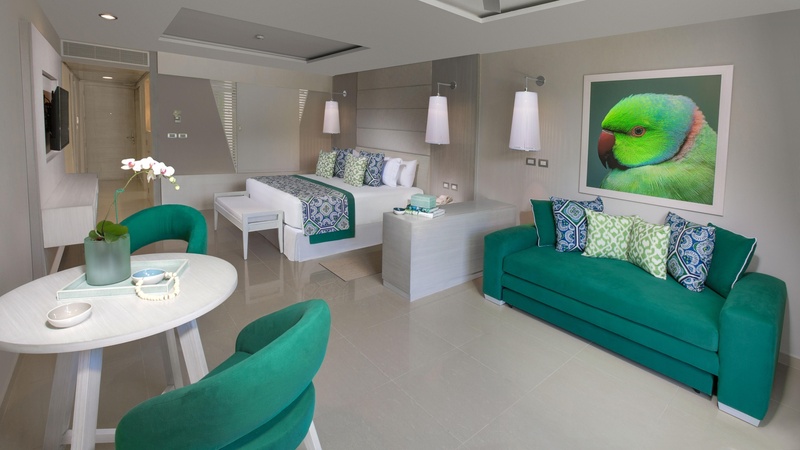 The updated amenities for the Deluxe Junior Suites of Grand Sirenis Riviera Maya in Mexico feature Wi-Fi and an in-room safe as part of the standard rate, as well as new flat screen TV’s and a sliding partition next to the Jacuzzi for extra privacy.